Are you in the market for new food storage containers? 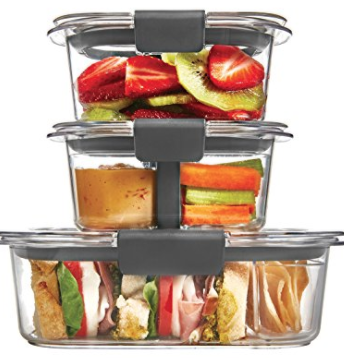 Consider heading to Amazon to order this Rubbermaid 10-Piece Lunch Kit for just $10.49! These are 100% leak-proof and are the perfect way to take your lunch with you on-the-go without any mess or leaks. This set ships FREE with a $25 purchase, or with Amazon Prime!